Marklin H.O. 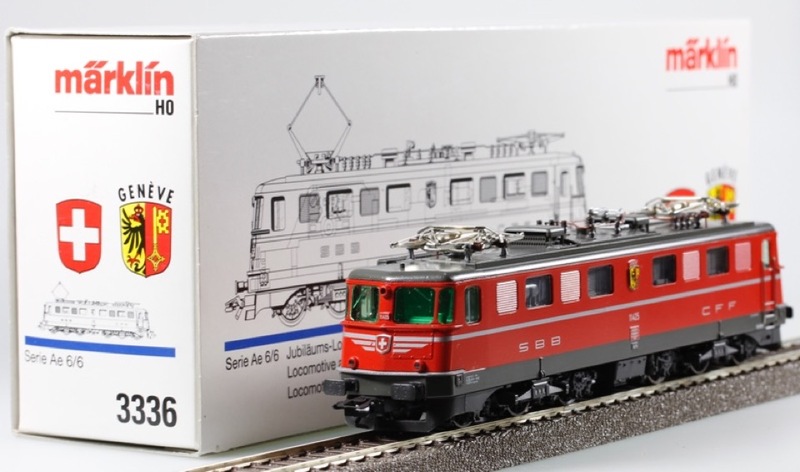 #3336 Swiss Class Ae 6/6 Electric Locomotive. 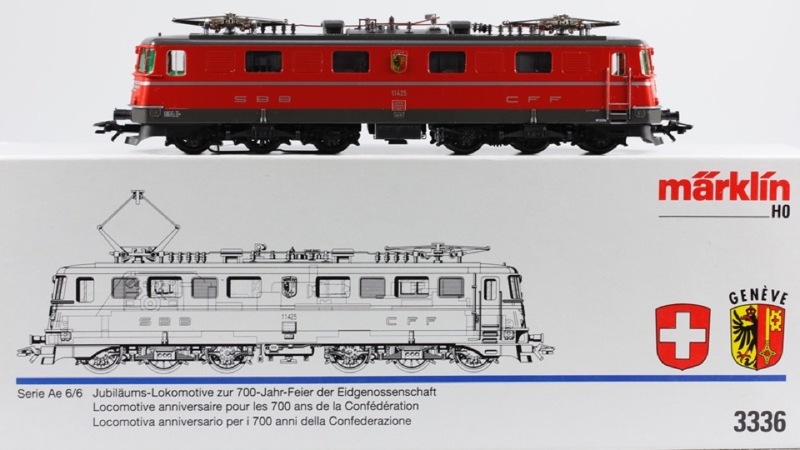 Produced and sold only in 1991 to commemorate the 700th Anniversary of the Swiss Federation, this locomotive is brand new, unused in the original box. It features a die cast metal body, stamped metal frame, working Pantographs and headlights that change over based on direction of travel. It was produced to run on the Marklin three rail A.C. system.